What is the ultimate catch 22 in the zombie apocalypse? You should stay light and move fast. Of course, the trouble with that is being able to stay light and keep yourself fed. Canned foods and water are heavy. These items can weigh you down if you expend too much of your pack on them. The best way to pack lighter is to understand the food around you. Whether you know it or not there are foods all around you. Some are growing up out of the cracks in the sidewalk. Did you know that you can eat the leaves and the roots of the common dandelion? They are quite tasty as well. Depending on the season you will be able to find all types of foods. If you find yourself on the run from zombies in the end of summer than you will in better shape because there will be lots of options. We are going to look at 5 of the best wild edibles to take advantage of when running from zombies. One old staple of the survivor, these cattails are incredible because they have so much to offer. You can eat all parts of the plant. The young shoots are the very best part but the bulbous roots that grows mostly underwater are filled with starch and are much more filling. These roots should be roasted and even then, can taste a little boggy depending on the source. Of course, the tops can be eaten or dried and used as tinder for your next fire. Most people don’t even think about bivalves when they consider fresh water. When you are talking about harvesting food these are little protein sources that cannot run away. Keep an eye out for shells on the bank and look for them in shallow water. Be sure that you cook these freshwater mussels or clams because they will be filled with the same types of bacteria that are in the water. These can make you very sick. Plantain grows everywhere. It’s a “weed” basically but it provides so much more to those who use it. This little guy eats like baby spinach. It grows pretty much all year round and can be found in most lawns and waste areas. Harvest plenty of leaves. The leaves can also be chewed and used as a poultice for wounds. 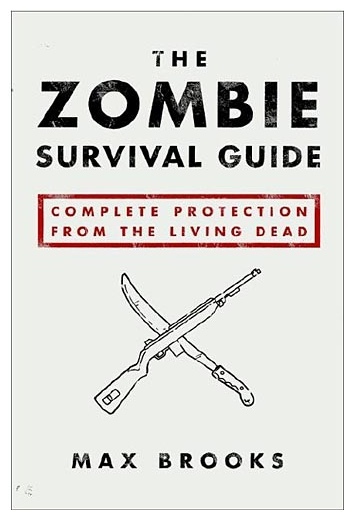 It won’t cure a zombie bite but it will help cuts and lacerations heal up if you keep them covered. In the spring there is a tower of a plant that has toothed leaves and is one of the first edibles to come out. Garlic mustard tastes just like it sounds. Its offensive and tangy. I love it. I am a big fan of greens. If you want zombie fighting nutrition you are going to need to much down on nutrient dense greens like these. Another of the zombie slayers powerful greens comes in the form of these long curled, almost sickle shaped, leaves. These leaves are packed with nutrients and sauté or boil up well. Once you start looking for curly dock you will be amazed at just how much of it is around. These wild edibles are essential to keeping your energy up and keeping yourself effective against the zombie hordes.